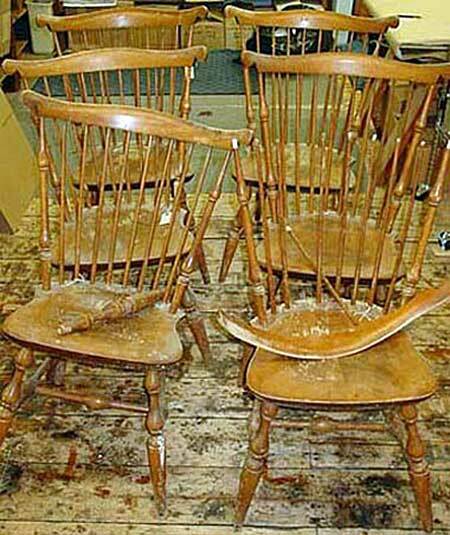 These 6 Windsor chairs were pulled from a client’s barn. They’re made of solid maple and have arched crest rails. They were all in pretty bad shape, and restoring them involved repairs, re-gluing, and refinishing. Luckily the client had saved all the parts. The joints were very loose, so it didn’t take much to knock the chairs apart with a rubber mallet. Each part was inspected, old glue was scraped off, and anything broken was repaired. The chairs were then glued and clamped tight overnight. Each chair was then stripped, sanded, and prepped for a new finish. An oil based wood stain was applied, and the chairs were then finished with coats of lacquer. 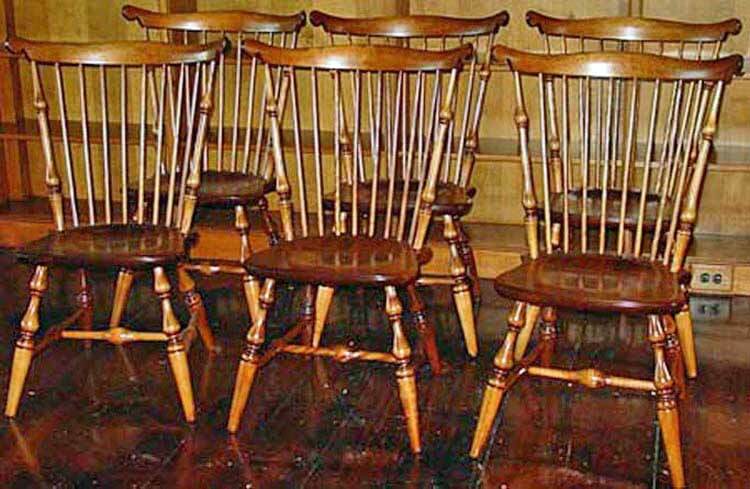 Once dry, the chairs were rubbed and waxed to give a traditional look. These Windsor chairs were restored for a Millerton NY client.